In an out-dated model of work environments, there are clear “rights” and clear “wrongs.” Usually, the management or leadership determines this and they call it “Policies and Procedures” or “Mandates” or simple “Rules.” There are usually severe consequences for not following these, intentionally or accidentally. In the new and emerging agile model, where team members focus their attention on taking action with little planning, reflecting, learning and planning frequently work environments are very different. 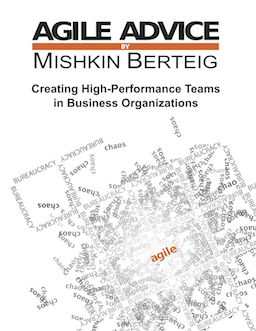 Instead of looking for people to blame when challenges emerge, an agile team looks for ways to learn and develop. The team can collectively embrace new ways to adapt to change together. This is one of the things I am learning about in high-functioning agile teams.